Saint Philothei. Wall painting from the Church of St Charalampos in Salamis. 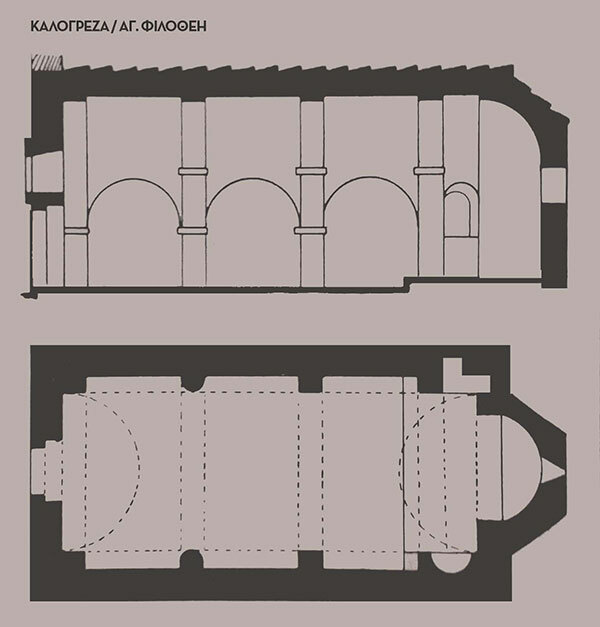 Oral tradition associates Revoula Benizelou, later Saint Philothei, with the history of the building. 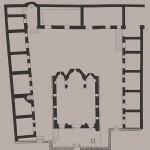 She is considered to have lived in this space, in the structures that preexisted the construction of the mansion. These were two stone-built two-story houses with tile roofs, traces of which are visible today in the ground floor (katoi) of the monument. Saint Philothei was an important figure of her time, something which is reflected in the reputation she had earned both in her own era as well as in subsequent centuries, a reputation that stems mainly from her social work and eventually contributed to her recognition as a saint. It is worth noting that she was one of the very few female neomartyrs who were martyred during the period of Ottoman rule. Revoula Benizelou (1545? – 1589), as was the secular name of St Philothei, with the type of her actions and the scope of her work drew the attention not only of her compatriots and the Patriarchate of Constantinople, but also occupied the supreme authorities of the Ottoman state as well as of Venice. Born of one of the oldest noble families of Athens, she held extensive property. After becoming a widow at an early age, she dedicated herself to monasticism. 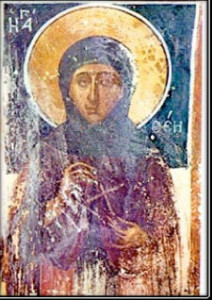 She founded the convent of St Andrew (Hagios Andreas) around 1571 – now the location of the Archdiocese of Athens – along with dependencies in Patissia, Kalogreza and Kea. 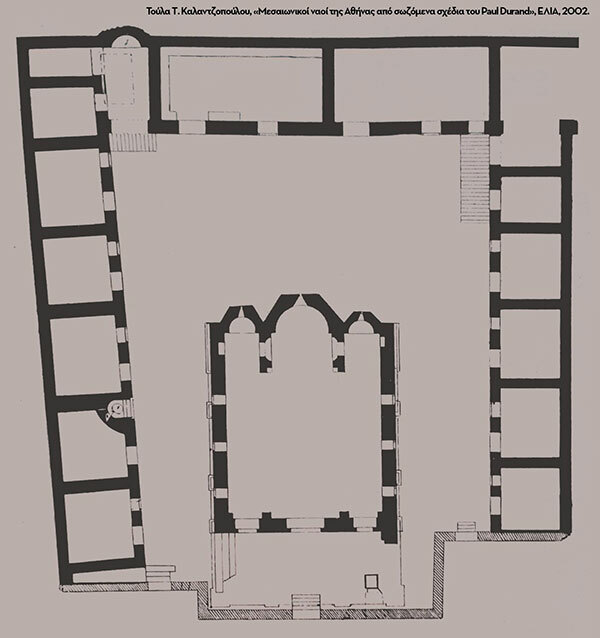 Her monastery, with 100 to 150 nuns, and the dependencies (in Italian sources of the time (h)ospedali – hospitali) provided shelter, food and care to the poor and weak as well as providing refuge to slaves and unfortunate Muslim women who indeed often converted to Christianity. Reacting to this activity, the Ottoman authorities attacked St Philothei violently, which resulted in her death a few months later. 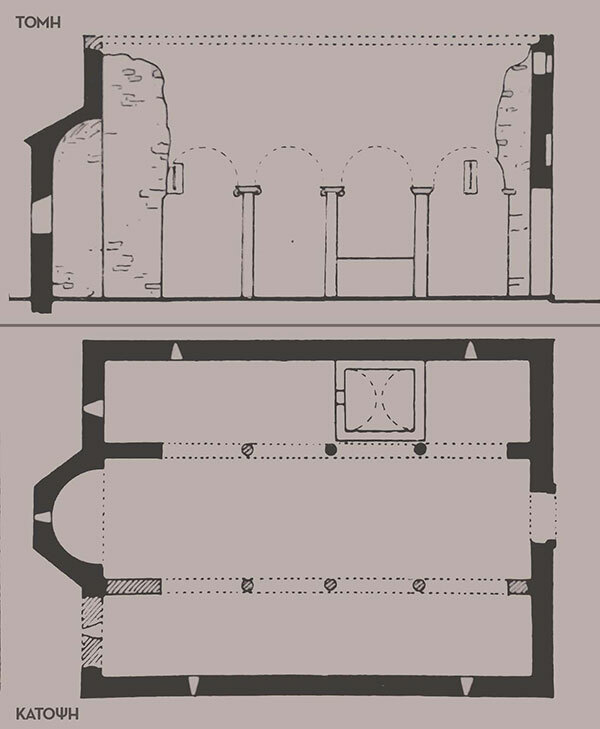 Section and plan of the Church of the Presentation of the Virgin (Eisodia Theotokos), a dependency in Kalogreza, from A. Orlandos, Ευρετήριον των μνημείων της Ελλάδος, Α΄. Ευρετήριον των μεσαιωνικών μνημείων, Vol. 3, K. Kourouniotis – G.A. Sotiriou, (eds. ), Athens 1933, p. 136. 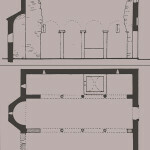 Plan of the Monastery of St Andrew (Hagios Andreas) (XAE, drawing no. 1847), from A. Xyngopoulos, Ευρετήριον των μνημείων της Ελλάδος, Α΄. Ευρετήριον των μεσαιωνικών μνημείων. 1. Αθηνών, Vol. 2, K. Kourouniotis – G.A. Sotiriou, (eds. ), Athens 1929, p. 108. 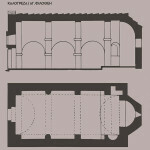 Section and plan of the Church of St Andrew (Hagios Andreas), a dependency in Patissia, from A. Orlandos, Ευρετήριον των μνημείων της Ελλάδος, Α΄. Ευρετήριον των μεσαιωνικών μνημείων, Vol. 3, K. Kourouniotis – G.A. Sotiriou, (eds. ), Athens 1933, p. 133. Due to her extensive social, charitable and spiritual work, St Philothei enjoyed the acceptance of her fellow Christians, who – metropolitan, priests and noblemen – supported her in 1583 when she asked for economic assistance for her monastery from the supreme authorities of Venice. Her supporters also addressed a request to the Patriarchate of Constantinople after her death to recognize her as a Saint (1598 – 1601).